The Scariest Element in Hip-Hop: Graffiti? 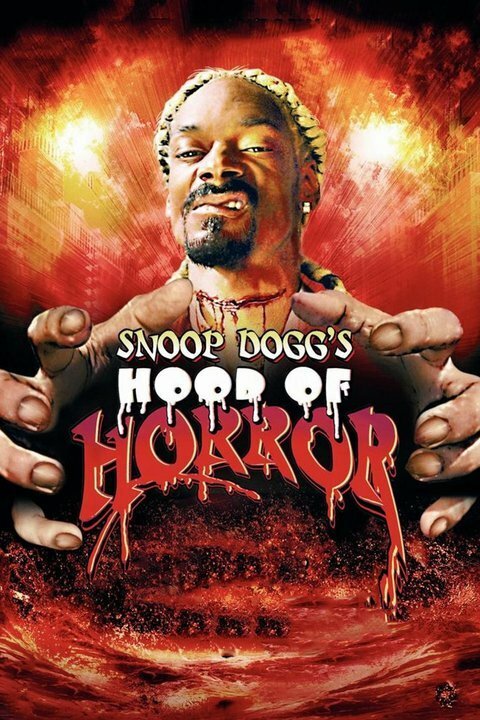 The only true hip-hop horror that I can think of is Bones, starring Snoop Dogg, and even that is more of an homage to the blaxsploitation era than hip-hop. (Eddie Murphy tried the same thing with Vampire in Brooklyn back in 1995). One thing I have noticed, however, is the times that graffiti, one of hip-hop’s essential elements, has been used to incorporate horror themes. In Tales From the Hood, a four-part series executive-produced by Spike Lee, the episode called “Rogue Cop Revelation” tells the story of a crooked police force who get rid of a black rights activist and frame him as a junkie. However, get their comeuppance after a disgraced cop lures those responsible to a community mural, that talks about police brutality. Using telekinesis and discarded needles, the specter crucifies the leader of the corrupt police, transforming him into a part of the picture for all eternity. Graffiti plays another interesting role in a film that is not strictly hip-hop horror, but is at least hip-hop horror-adjacent: that’s Candyman, from 1992, set in the Cabrini-Green housing projects of Chicago. In it, a graduate student named Helen seeks out information about an urban legend, Candyman, who appears if you say his name five times in the mirror—then kills you. Spray-painted images of Candyman are all over the walls of Cabrini-Green. His face and history are a living, visual part of the residents’ lives. He represents everything about what it is like to live there. By killing those who summon him, he reinforces the violence in their community. A gang member even impersonates him to up his street cred. Throughout the story, Candyman makes it clear that his legend, his hype if you will, if what keeps him going. He is a walking, breathing bit of folk art like graffiti on the wall. In the end Helen also becomes a figure in Cabrini-Green, spray-painted into murals with a flaming head, and able to be summoned. 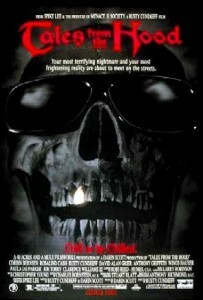 One film that gives a new spin on the idea of graffiti as a force in horror came from a fairly obscure anthology horror flick, called Hood of Horror (also benefiting from Snoop Dogg’s likeness). The first segment in the film, “Crossed Out,” follows a young tagger and artist named Posie. After she is almost killed by rival taggers that take offense at her flowery work in their macho domain, a homeless man (played by Danny Trejo) gives her the ability to cause the violent death of anyone whose work she crosses out. What’s interesting about her power is that she doesn’t override other artists’ tags with something beautiful, she just adds a blood-red X that is reminiscent of the marks loggers put on trees to be cut. The man who gave her the power in the first place said he was doing it to break the cycle of violence in the streets, but she made it worse. Some people will consider tagging to be nothing but vandalism no matter what, but Posie’s descent from true artistic aspirations to cold-blooded killer completely uninterested in artistic aesthetics at all is the line between art and destruction that graffiti has always danced.